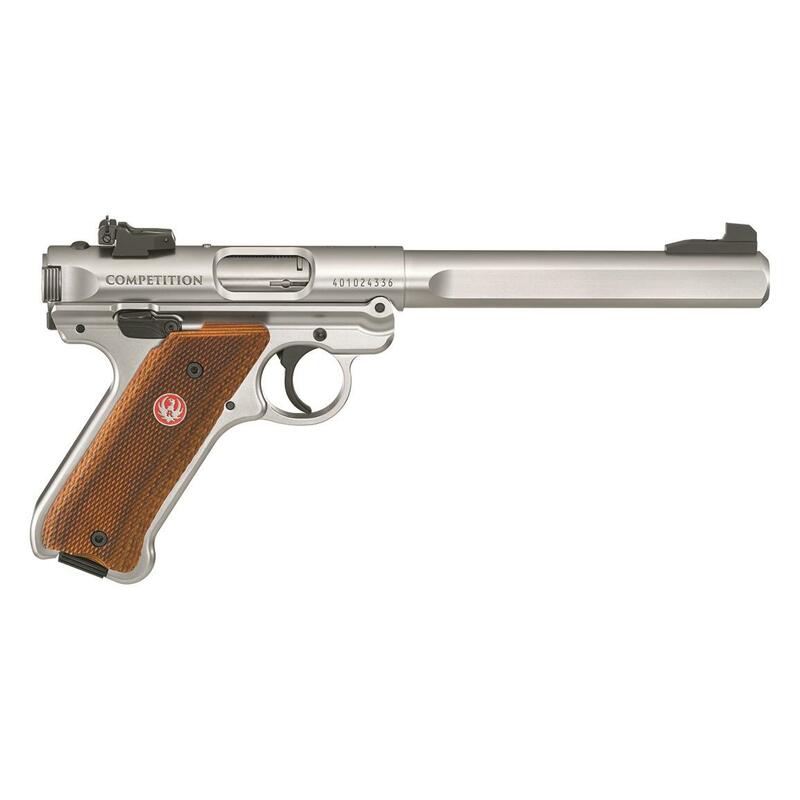 At long last, Ruger's outstanding .22 Pistol has been overhauled to offer simple, one-button takedown for quick and easy field-stripping! And let's be honest. Field-stripping the II and III was a…let's say chore. Now, though, all you have to do is push the button on the back of the frame, and the upper receiver tilts right off. Easy as that. Other improvements include a redesigned trigger group and bolt stop, and the addition of an ambidextrous thumb safety, among a few others. Of course, in every other way, it feels and shoots like the Mark III…and that's a very good thing. It still has a number of the hallmark features, including internal cylindrical bolt construction, adjustable rear sight, and more, and it's just as accurate as ever. 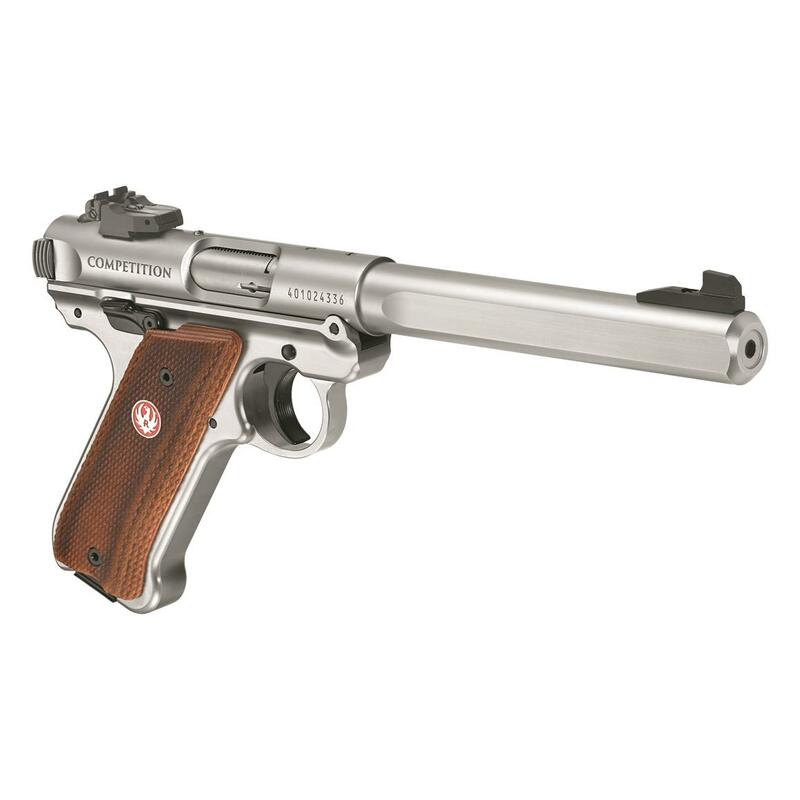 Mark Series Pistols are simple, rugged and affordable, making them a great value for any sporting purpose…target shooting, plinking or small game hunting. 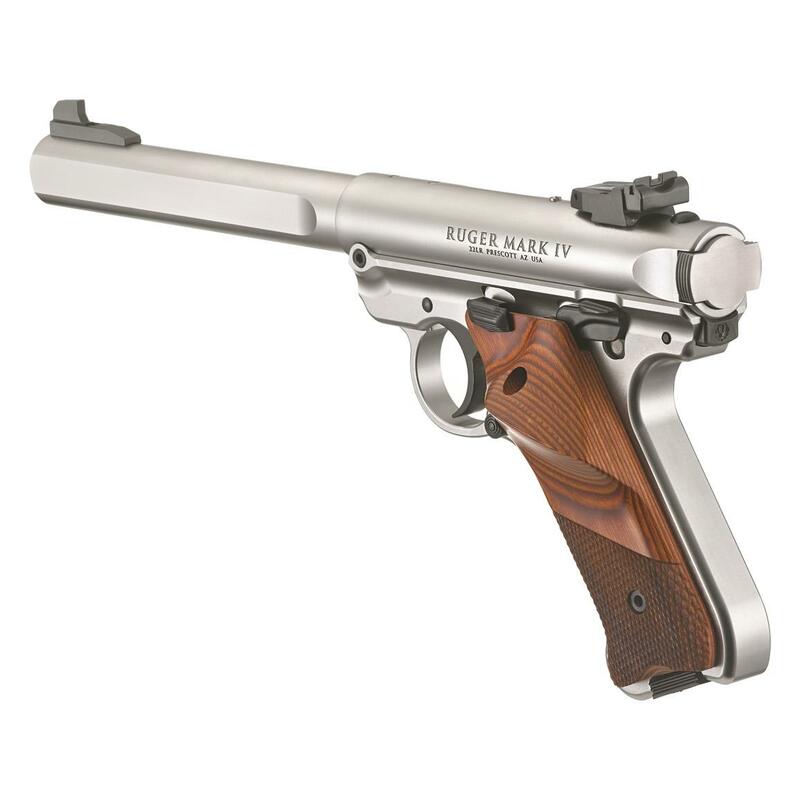 Ruger Mark IV Competition, Semi-Automatic, .22LR, 6.88 Barrel, 10+1 Rounds is rated 5.0 out of 5 by 1. Rated 5 out of 5 by hoffa73 from Great pistol!!!!!!! Another great purchase from SG. Just picked my mark IV comp model from my FFL today, Ruger hit a home run with this thing it looks awesome right out of the box. Took over to the indoor range and fired 100 rounds of cci mini mags through it and glad to report no problems, all rounds fired/fed/ejected perfectly. The gun feels balanced and shoots POA, however the comp model has the thumb rest which was a nice surprise. The trigger is responsive and crisp with a nice click on reset some don't like the trigger I personally like it for the reason this is my 3rd mark IV model I own. One button take down is a breeze, apart cleaned and lubed in under a few minutes. Overall great pistol that should last for years and thousands of rounds, glad to add it to my collection. Hats off to SG for the 4 pay plan keep up the good work and keep em coming.